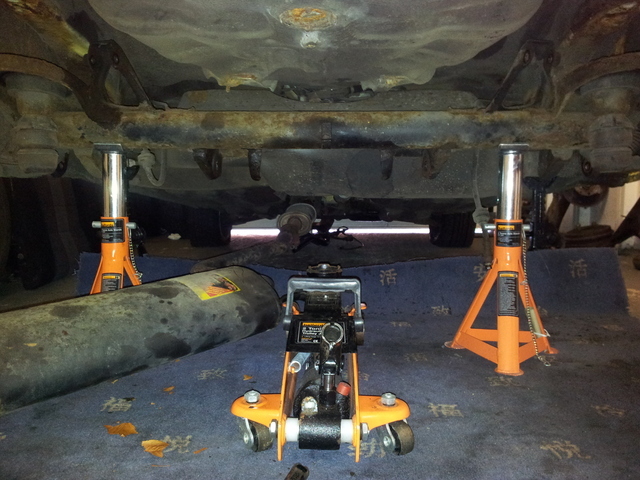 After a busy couple of weeks I managed to grab a few hours out in the garage. 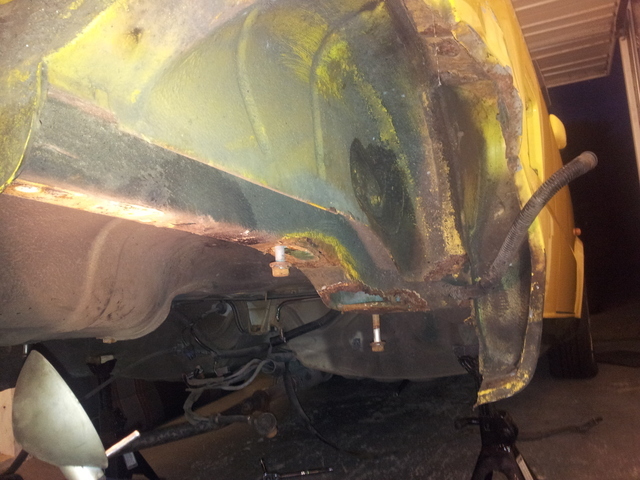 The main areas I wanted to focus on was removing the fuel tank and making a start on assessing how much rust there really is. 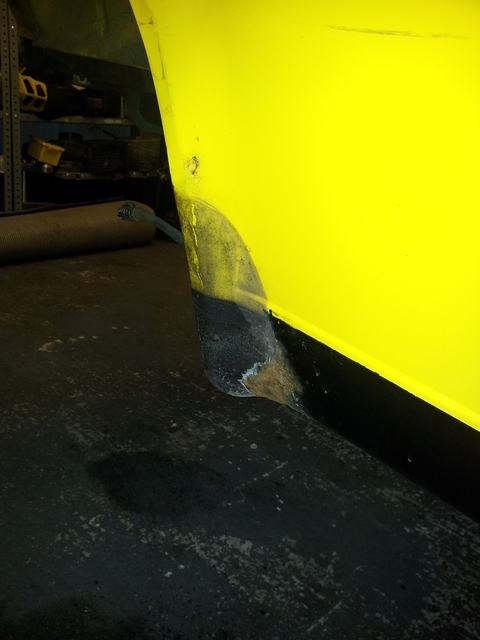 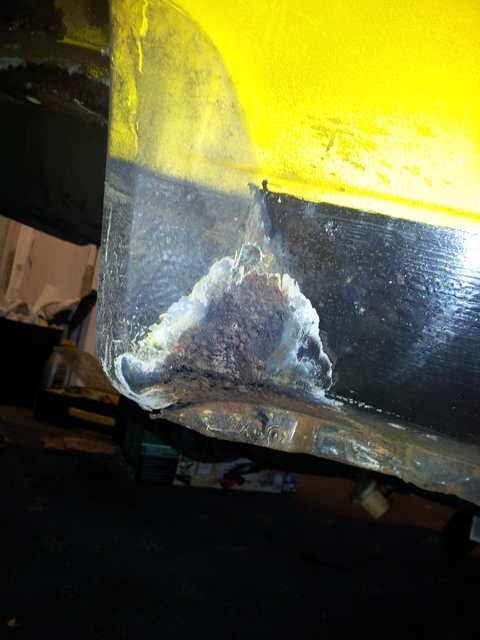 Before I could get access to the areas effected by the rust the fuel tank had to come out. 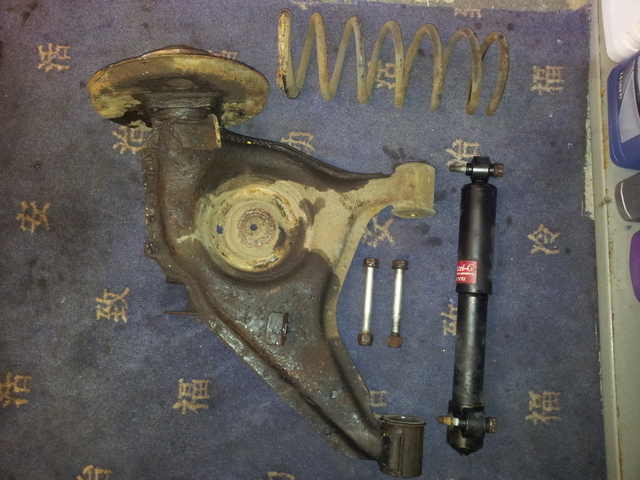 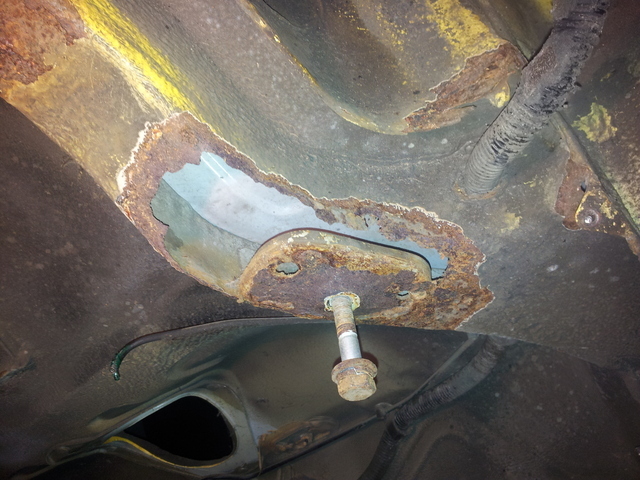 This is straight forward as it’s only being held in by one bolt and two nuts, as I removed the other two bolts when the beam came off. 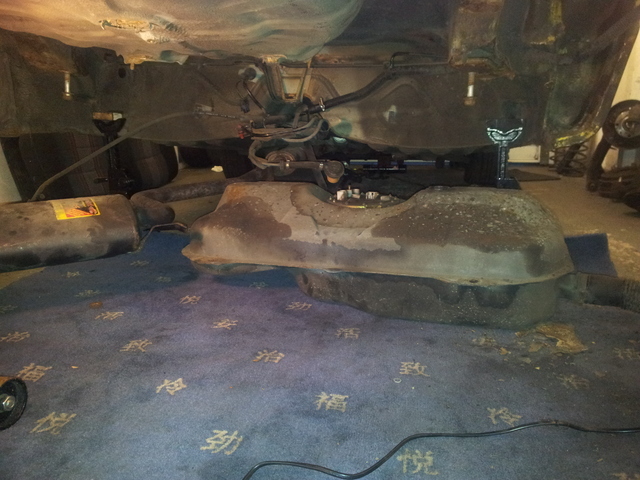 Oh and don’t forget the couple of plugs and hoses going in to the fuel pump. 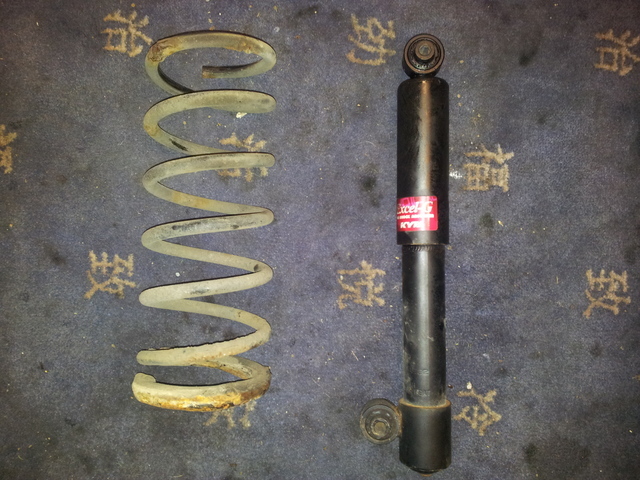 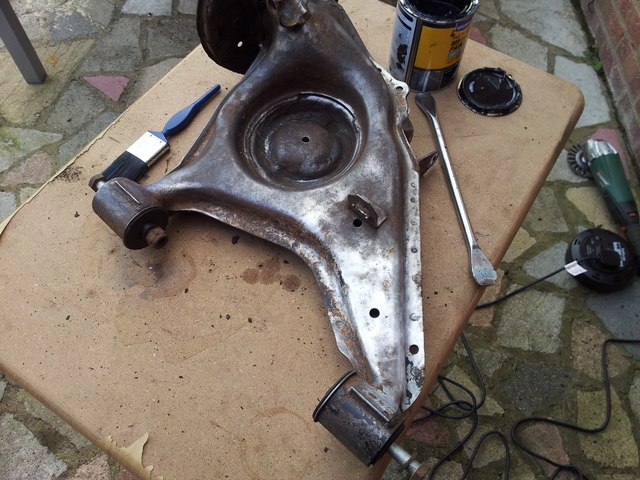 After a short period of time with a wire brush and a screwdriver, I had managed to dislodge a fair bit of rust leaving me with a few holes…. 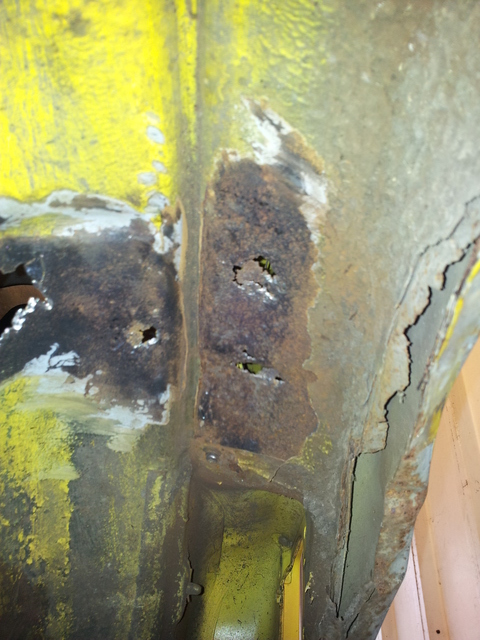 You can see where the rust has caused the Inner and outer arch to separate, I haven’t yet had much more of a poke around in that area, the worst area was where the beam bolts to the chassis. 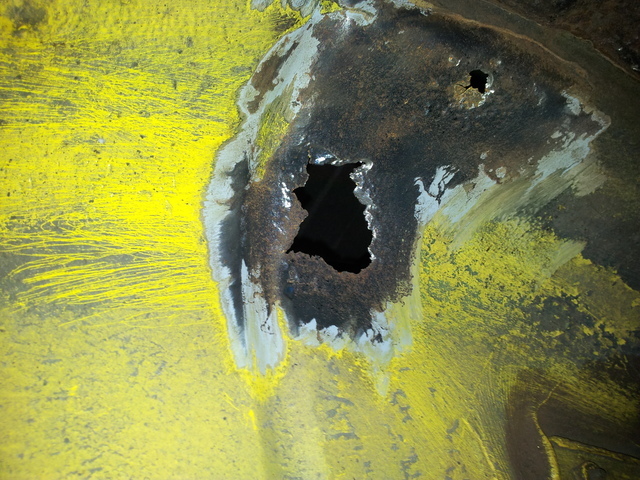 The plate the bolt is screwed in to was solid and only had light surface rust, the rest crumbled to nothing leaving that huge hole and a less severely rusted edge. 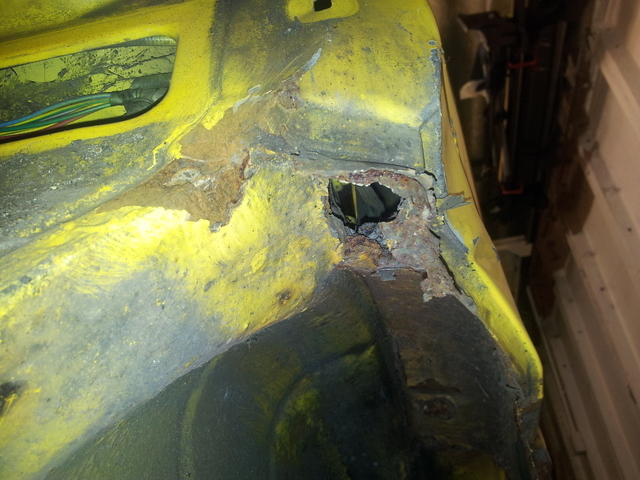 I can already tell the other side will be very similar. 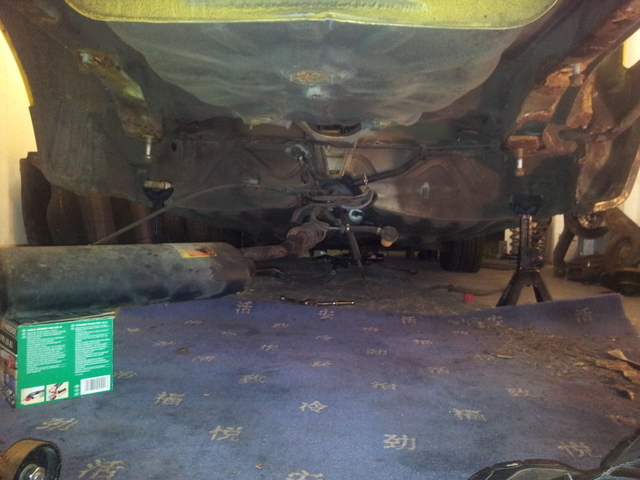 Another angle. 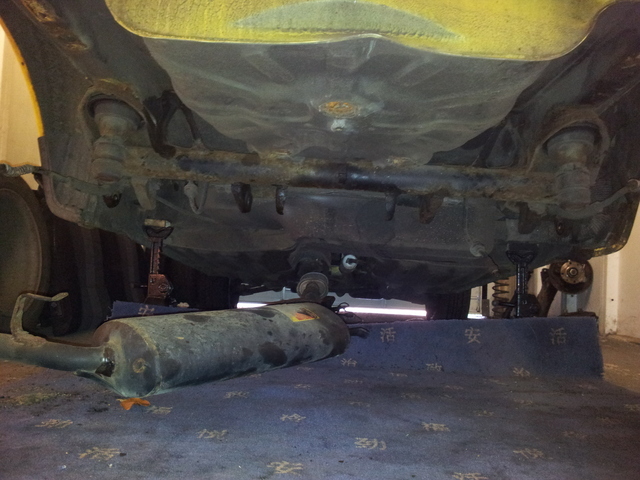 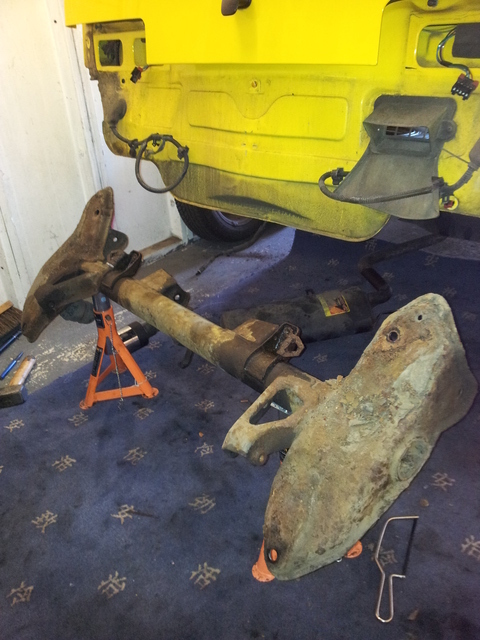 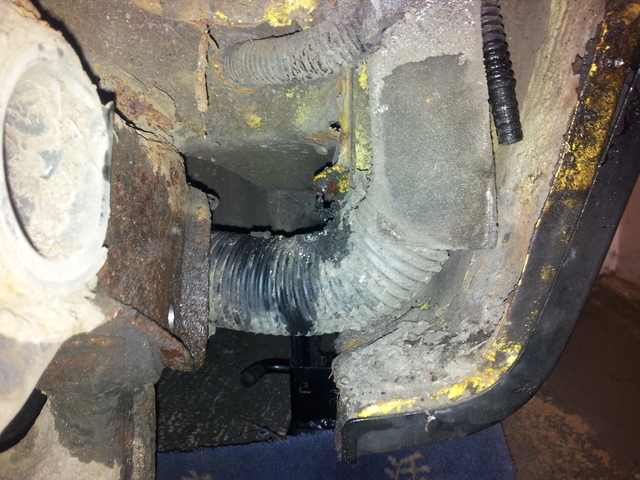 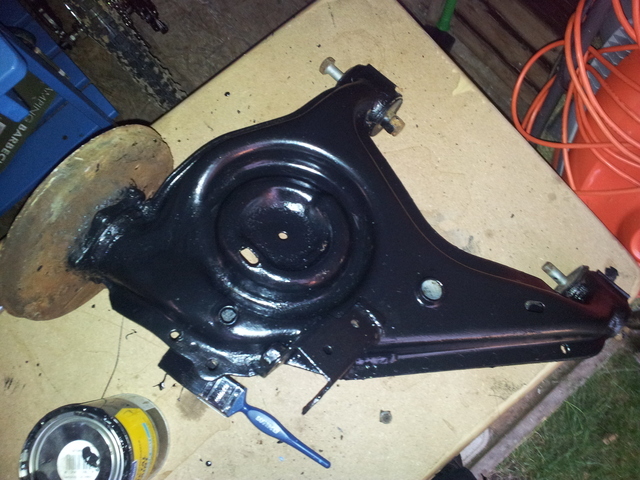 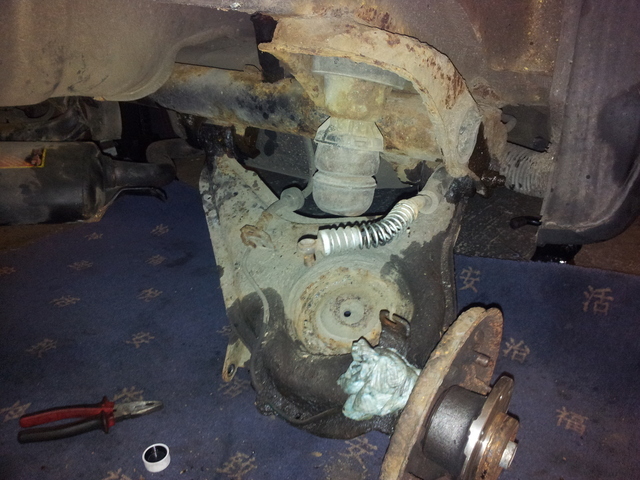 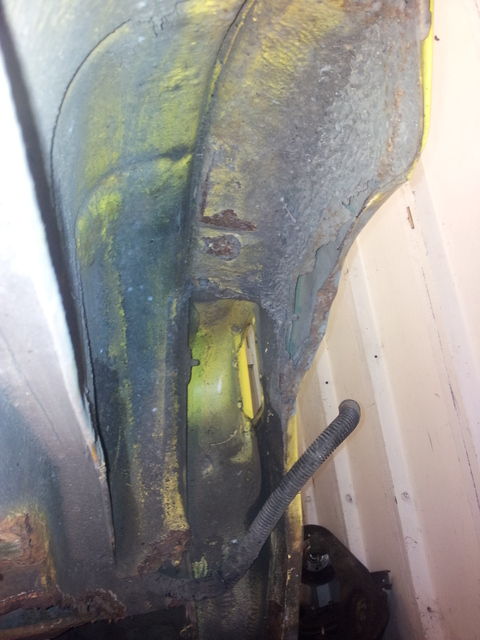 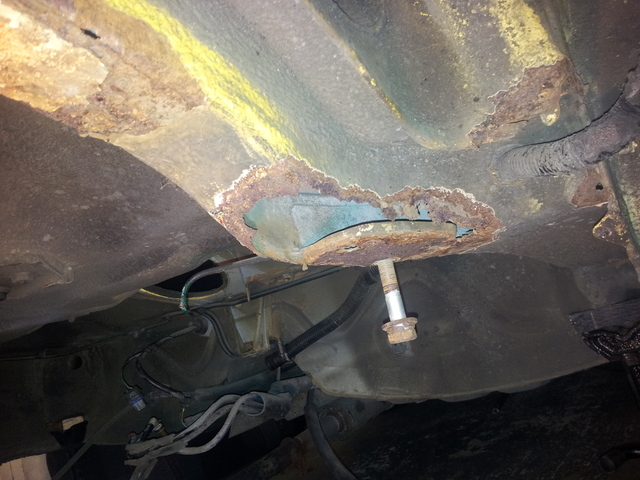 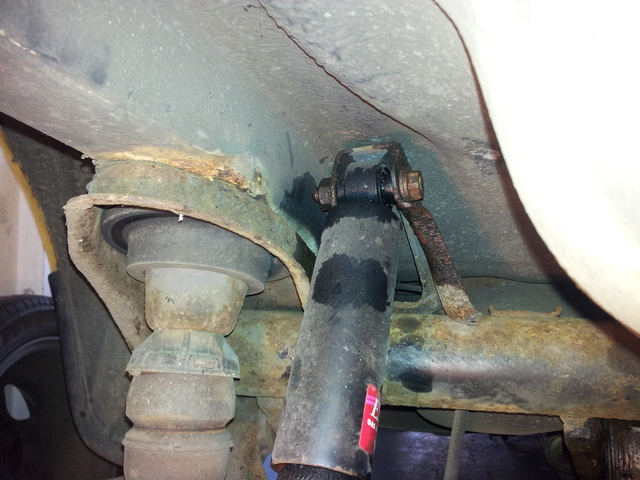 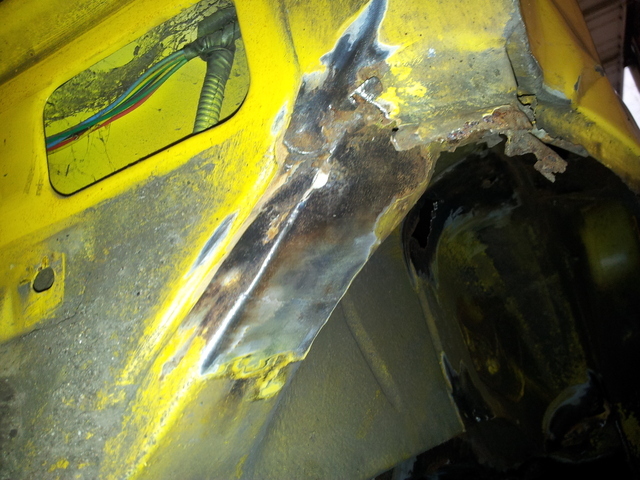 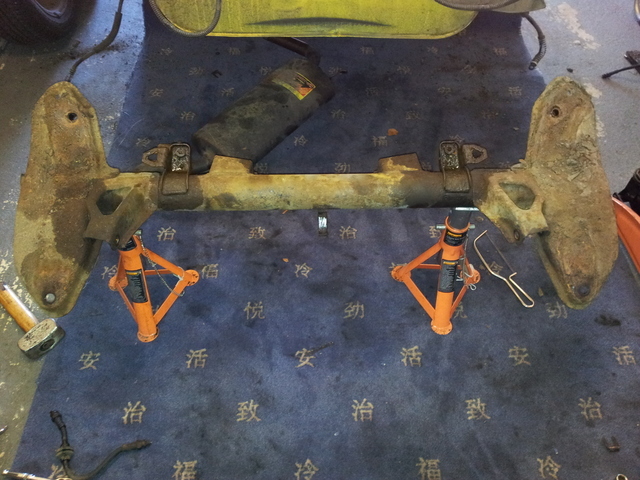 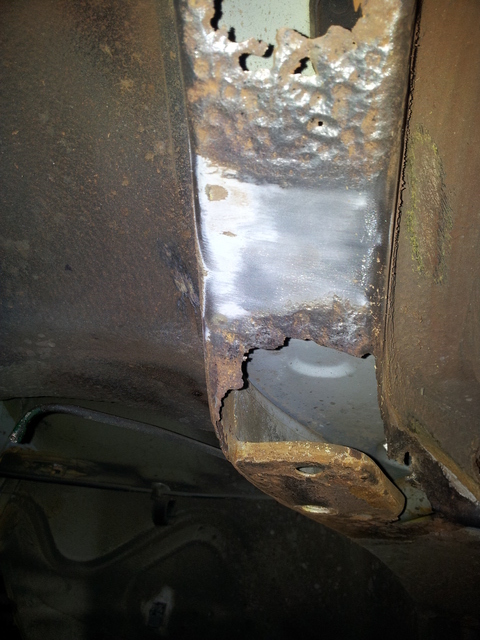 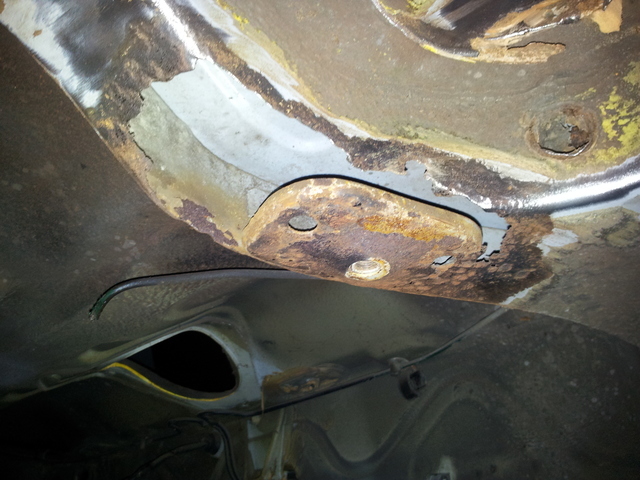 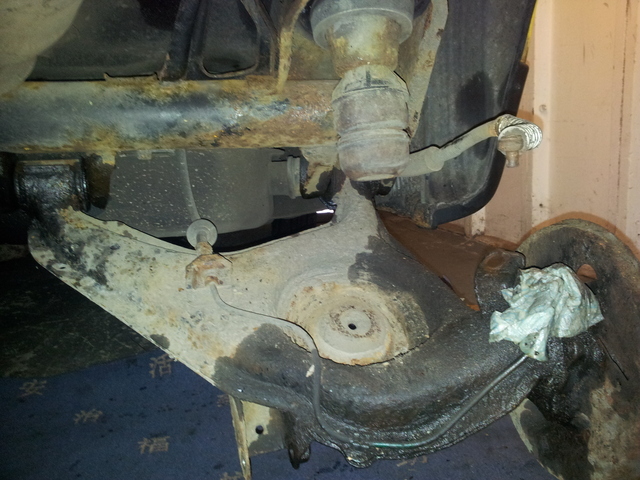 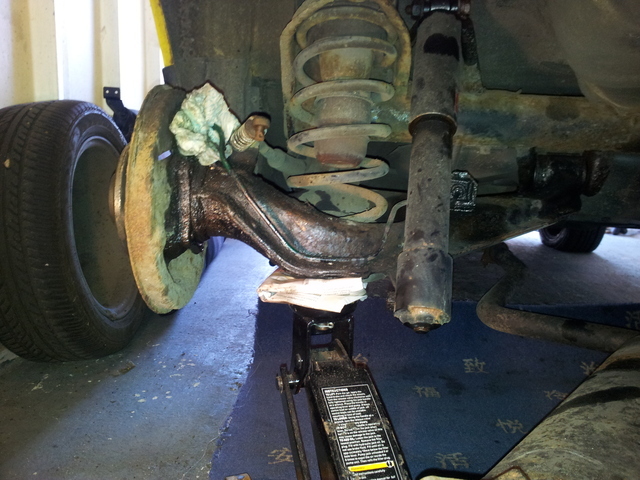 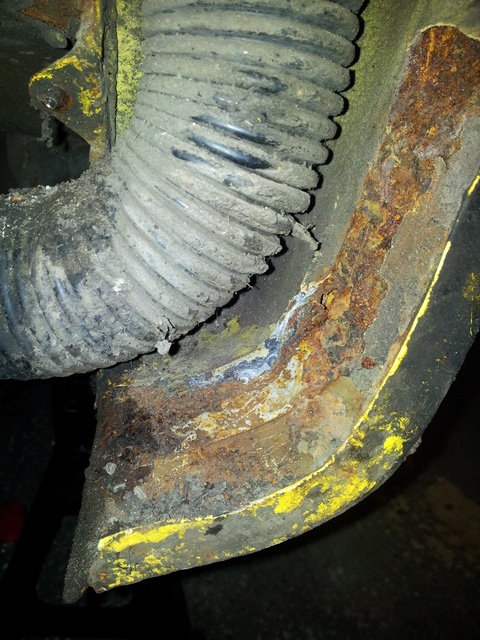 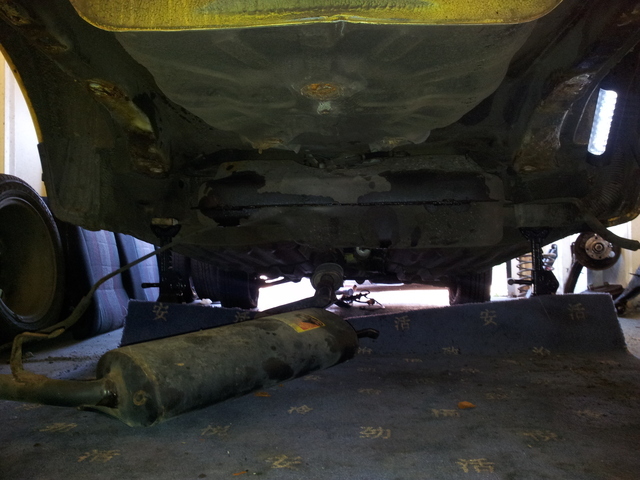 The back rear beam mount has some rust but not as bad as this. 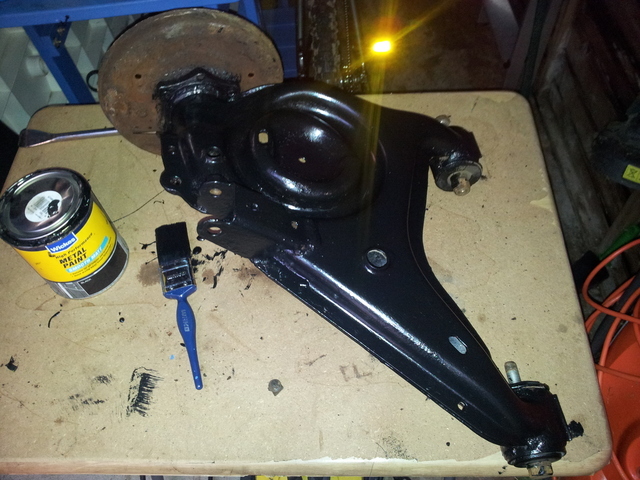 I decided to call it a day as I really wanted to crack out the angle grinder with wire wheel attachment but it’s getting late and I don’t have very tolerant neighbors…maybe next time. 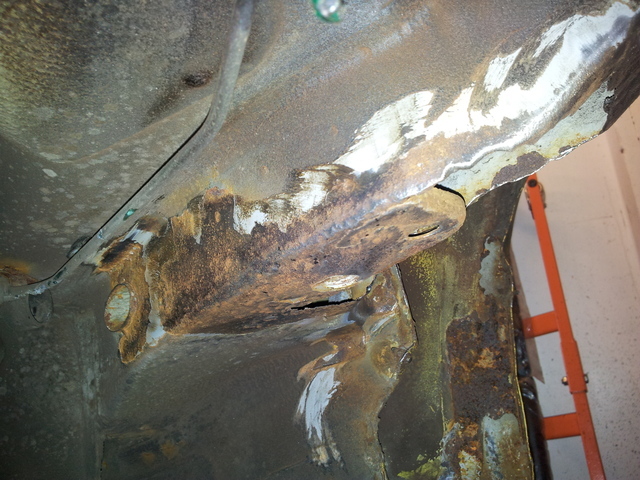 The back right corner has some corrosion as well…from this angle you can see where the panel is bent in from the bump the car had, this should pull out no problem when I take it in to the body shop.